December 16, 2013 December 5, 2013 / Julie Brook, Esq. Attorneys have a lot of latitude in making their closing argument, but there are nonetheless impermissible arguments during closing and thus openings for opposing counsel to object. Even if you’re right, objecting during a closing may not be a smart move. One of the most difficult tactical choices to make during trial is whether to make objections, particularly during opposing counsel’s closing argument. Jurors don’t take kindly to objections when another attorney is delivering closing argument, so don’t interrupt except for the most egregious violations. In fact, objections often drive the offending evidence further into the jurors’ minds, even when the objections are sustained and the judge admonishes the jury to disregard the improper statement. refers to the remarried name of a party’s widow in a wrongful death case. you can move for a mistrial if you believe your client’s right to a fair trial has been irreparably damaged. The decision to object should always be deliberate, not reactive. 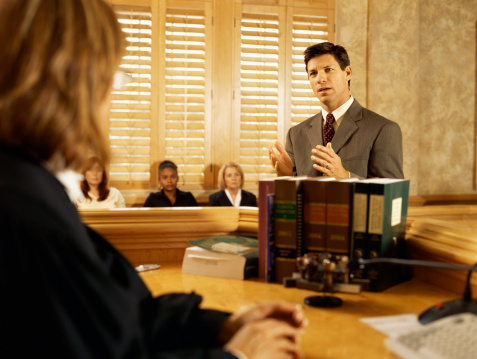 Don’t simply police your opponent’s closing argument for minor or unintentional improprieties. If you need to object, request that it be made outside the jury’s presence. Ask the judge to tell the jury that argument on the merits of an objection concerns applicable law, not facts, so that the jury won’t feel left out of the discussion. When objections are sustained, there’s a double victory: the offender gets “off track” and the jurors lose confidence in what’s being said because the court has ruled that it was improper. But if the objections are overruled it’s a double loss: the objection serves as an unnecessary interruption and counsel appears to be trying to suppress something from jurors’ consideration. This gamble is why the most experienced attorneys rarely object during closing argument. Full discussion of each ground for objection can be found in CEB’s California Trial Objections, an essential resource for any attorney headed into trial. For practical tips on all aspects of closing arguments, turn to CEB’s California Trial Practice: Civil Procedure During Trial, chapter 19. Also check out CEB’s program Effective Approaches to Opening Statements & Closing Arguments, available On Demand. ← Should You Generalize or Specialize? Great post. Read it just before closing arguments in a bench trial. One note: I believe that in CA courts, counsel is allowed to comment on a witness’ credibility in closing. In Federal court, you are not allowed to do so.